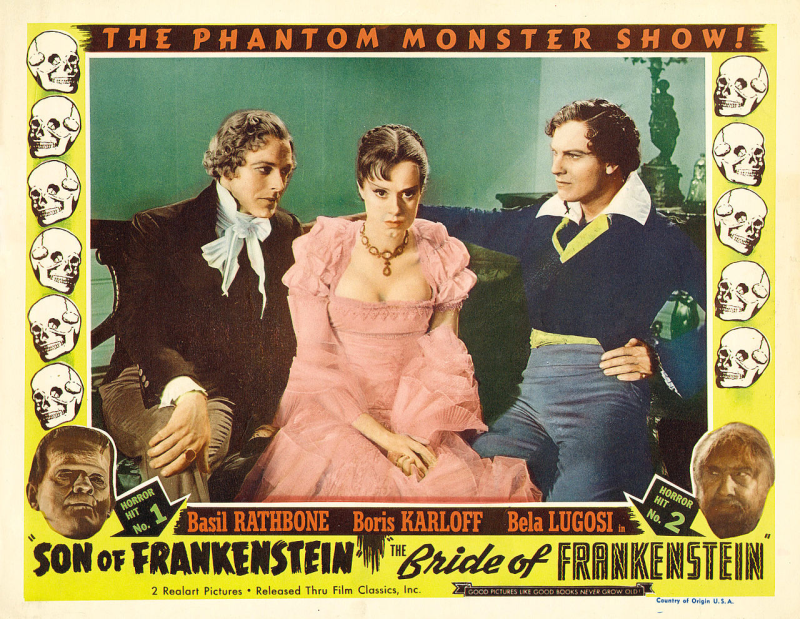 Frankenstein and Bride of Frankenstein: What is it With Me and These Movies?!? Mary Shelley is one of the most widely-respected authors of all time and is often pointed to as the reason many women authors began writing. And yet…. And yet… here I sit, completely baffled by all of the hoop and most of the la. When I read the book as a teen, I detested it. I honestly found it to be the most boring book I’d ever read. I’d rather it had scared the wits out of me and interrupted my sleep (like Dracula, for example) than to bore me speechless. I lost track of the number of times I closed the book, put it down, and decided I’d just “fake” my book report. My mom told me that I’d feel better about the book report if I actually finished the book. I don’t want to say she was wrong, so I’ll just say she was not right. Reading that book was painful but, frankly, watching Frankenstein wasn’t much better. If it weren’t for the fact that the time spent watching the movie was less of an investment than reading the book, it’d have been just as painful. While I LOVE old movies – these two could have turned me off of movies for good. Okay, okay, that’s an exaggeration but you get the idea. 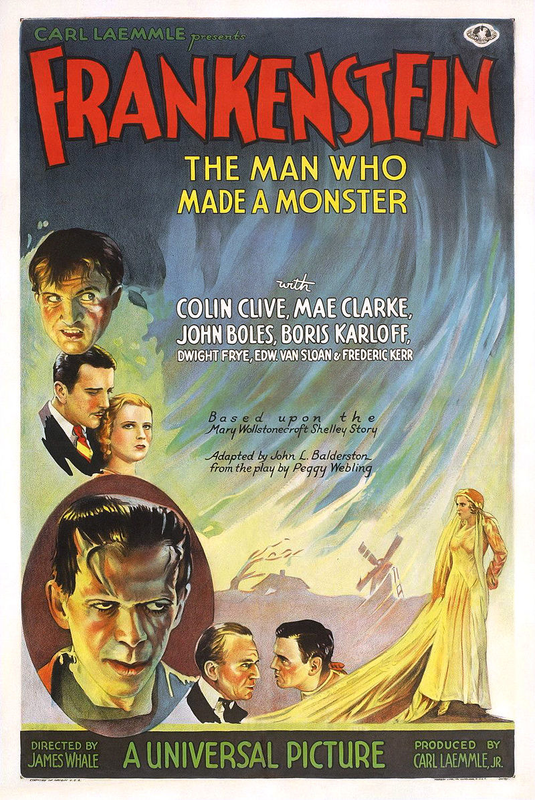 First the positives about Frankenstein: Boris Karloff was great in the role and Edward Van Sloan was PERFECT as Doctor Waldman. This wonderful actor is perfect in everything and is, as far as I’m concerned, the one good thing about Frankenstein. He was also great in Dracula (1931) as Van Helsing. That movie was better than Dracula and his Van Helsing deserves most of the credit. Another positive – the movie did a great job when it came to setting the ambiance and overall mood. The sets were outstanding, as was the wardrobe and makeup – especially for the time. 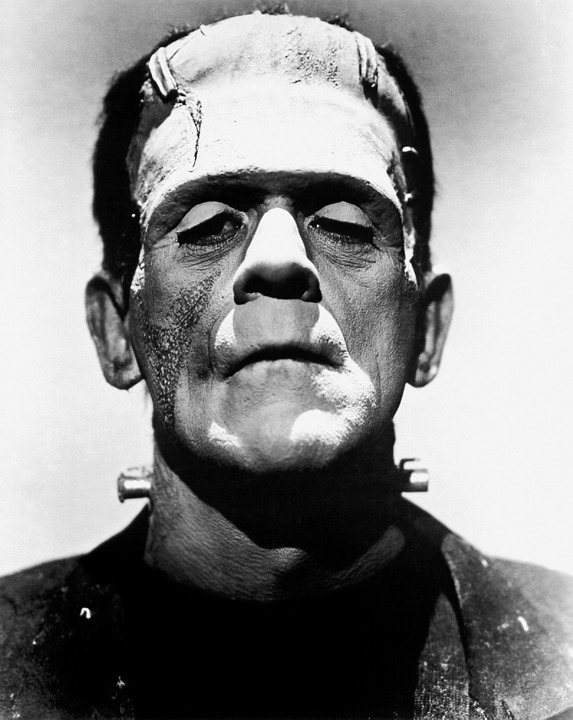 The positives about The Bride of Frankenstein: Again, Boris Karloff is wonderful in the role of the monster. With more true acting to delve into with this second film, he gets to show off his chops. His scenes in a cabin with his newfound “friend” are absolute movie magic. He gives a beautiful performance. Furthermore, Elsa Lanchester is a total scene-stealer both as The Bride of Frankenstein and as Mary Shelley in the opening scene. The fact that she was so mesmerizing is actually one of the things I like least about this movie…. she wasn’t used nearly enough. Truth is, she was barely on screen at all – which is a shame because she’s really the only thing that could have saved the movie. As for the original Frankenstein – like the book – it was pretty boring. I watch old movies like it’s my job, so I don’t mind “dated” effects or “less than inspired” camera-work. I don’t mind over-acting, even. In fact, I always say it’s far better than under-acting (the greatest sin of acting). I suspect the cast (with the exception of Van Sloan and Karloff) read the book and were so bored they couldn’t snap out of it. Seriously, the rest of the cast all but naps through their scenes. Not only could the two leads not convince me they were in love, they couldn’t convince me they were the ones who were alive. I think the biggest problem with The Bride of Frankenstein, however, is the story itself. There were so many moments when I thought, “I’d have done that differently…” or “That wasn’t the way to go with that…” The concept was a great one but, in my opinion, the execution should have been -executed, that is. If you title a movie “The Bride of Frankenstein” she should be a large part of the movie – especially when the actress so much charisma. With a different script, the name Elsa Lanchester would be as famous as the name Boris Karloff. Do you get the idea I loathe these two movies? I mean, I’m not hiding that fact, am I?? If you’re a fan of one or both of these movies, I honestly apologize. Not for the fact you like them, mind you, but for the fact that I’m coming down so hard on them. As I said at the beginning of this diatribe, it’s probably just me and it isn’t the first time. There have been other stars, movies, and TV shows that others love and I just sort of bite my tongue. I actually recently re-watched both of these movies on TCM – just to see if I found them more agreeable this time. Oh, I did NOT. In fact, as soon as Frankenstein went off, I told my cats, “Well, there’s time we’ll never get back.” They weren’t too thrilled with the movie, either. They thought the casting was all wrong and the dialogue excruciatingly painful. I have to agree.